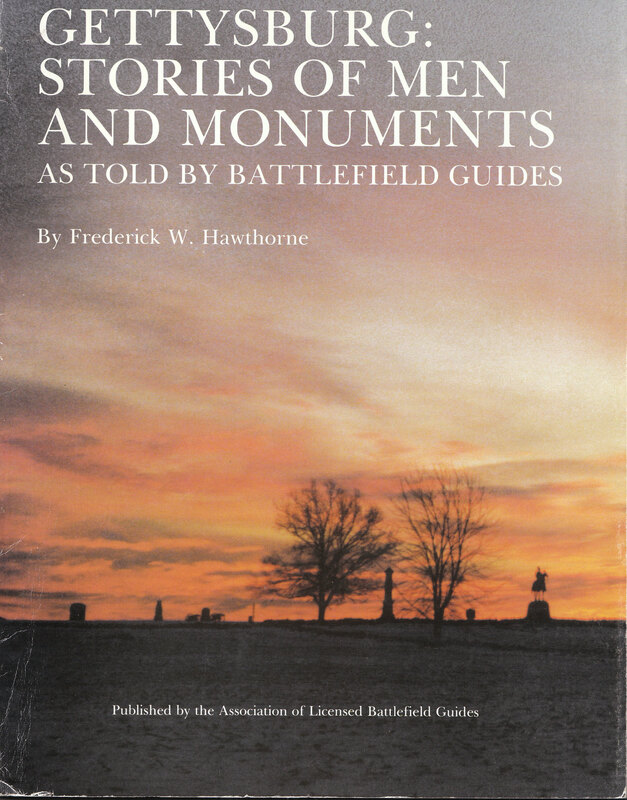 Gettysburg Licensed Battlefield Guide Fred Hawthorne is the author for our 140 Places Every Guide Should Know series. 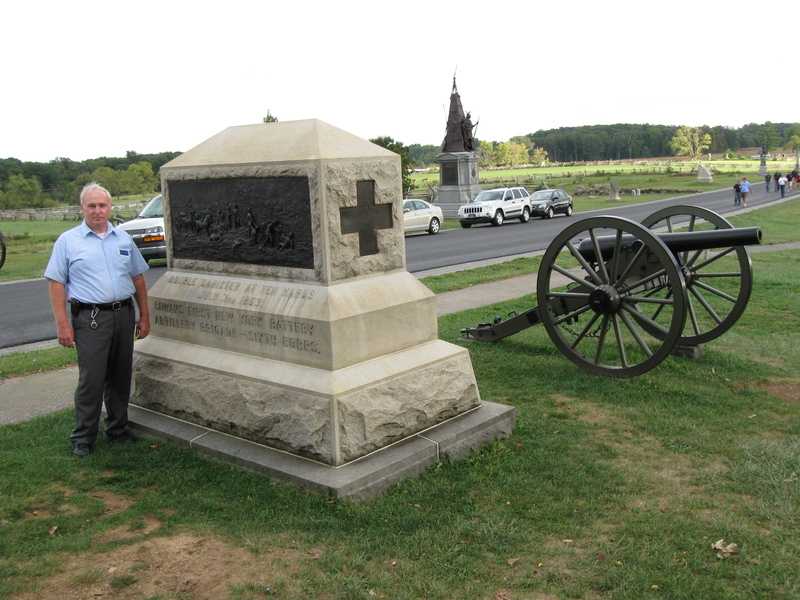 He is on Cemetery Ridge at “Brown’s Gate.” The monument to the 59th New York Infantry Regiment is on the left. This view was taken facing southwest at approximately 5:45 PM on Friday, September 17, 2010. 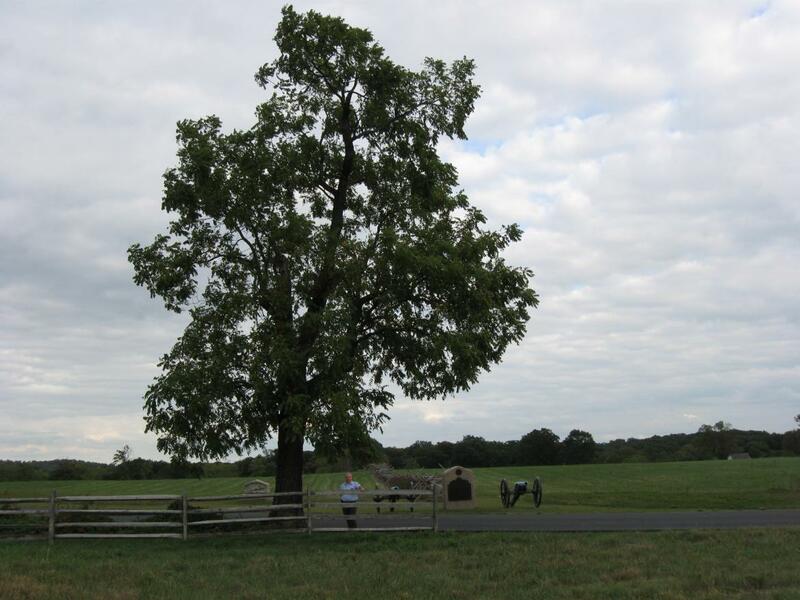 In our today’s 140 Places Every Guide Should Know post Gettysburg Licensed Battlefield Guide Fred Hawthorne shows us Brown’s Gate, the Gibbon Tree, and the first Confederate flag depicted on a Gettysburg monument. This map shows us the locations taken of the videos for the 140 Places Every Guide Should Know series. Videos #1 and #4 were taken at the John Page Nicholson marker. Video #2 was taken at the Gettysburg National Military Park Legislation Plaque/Marker. Video #3 was taken on the Abraham Bryan Farm. Video #5 was taken at the location of Meade Avenue. Video #6 was taken at the Stockton Rock. Video #7 was taken at Brown’s Gate. Video #8 was taken at the Gibbon Tree. 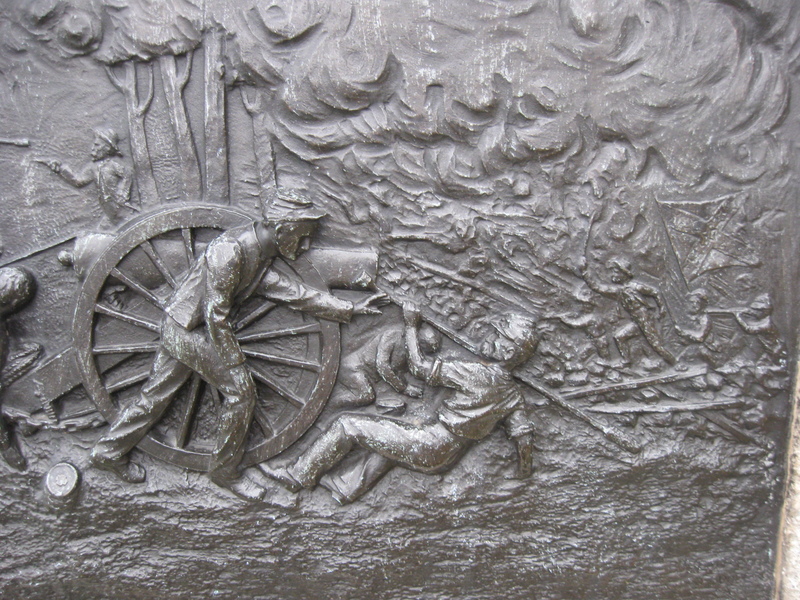 Video #9 was taken at the monument to Cowan’s New York Battery. This map was created facing north at approximately 7:15 PM on Friday, October 29, 2010. Gettysburg Licensed Battlefield Guide Fred Hawthorne is standing on Cemetery Ridge, southwest of the Copse of Trees, which is in the background. He is pointing to the northern end of the position of “Brown’s Gate.” This view was taken facing northeast at approximately 5:45 PM on Friday, September 17, 2010. 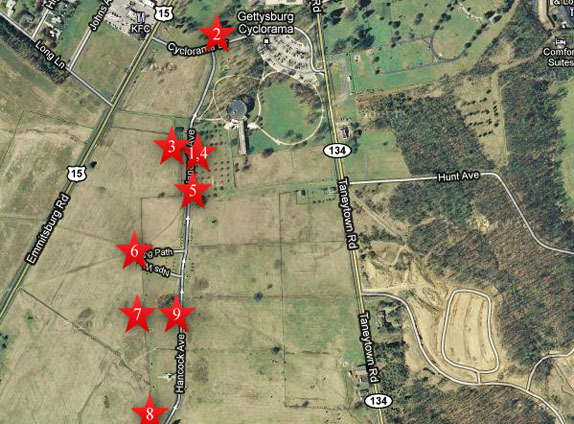 In Video #7 (Videos #1-#6 were shown in our previous 140 Places posts) Gettysburg Licensed Battlefield Guide Fred Hawthorne is standing on Cemetery Ridge, south of the Copse of Trees. He shows us what is probably the position of Brown’s Gate. This view was taken facing southwest to northeast at approximately 5:45 PM on Friday, September 17, 2010. 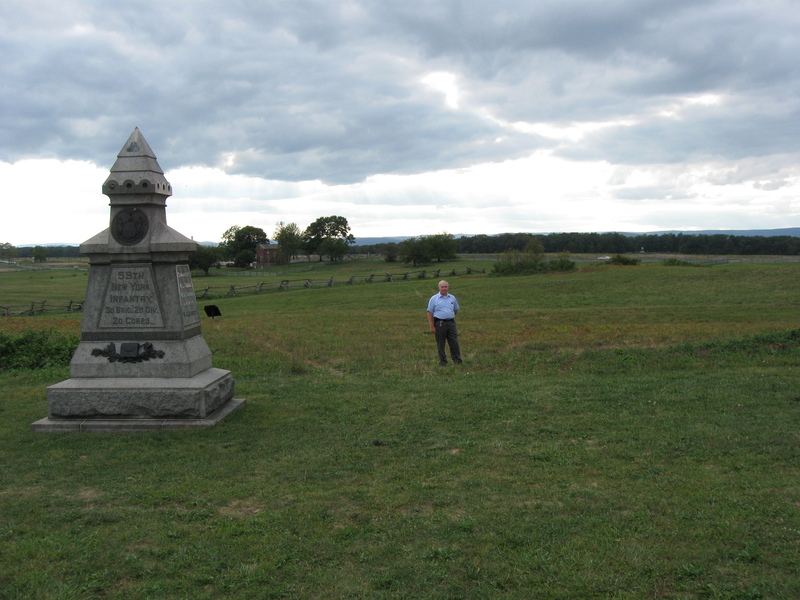 Gettysburg Licensed Battlefield Guide Fred Hawthorne is standing on Cemetery Ridge and is showing you the south end of “Brown’s Gate.” The monument on left is to the 59th New York Infantry Regiment. The tall monument on the far right is to the U.S. Regulars. This view was taken facing southeast at approximately 5:45 PM on Friday, September 17, 2010. Brown’s Gate is named for Lieutenant T. Fred Brown, who commanded Battery B, 1st Rhode Island Artillery at Gettysburg on July 2, 1863. 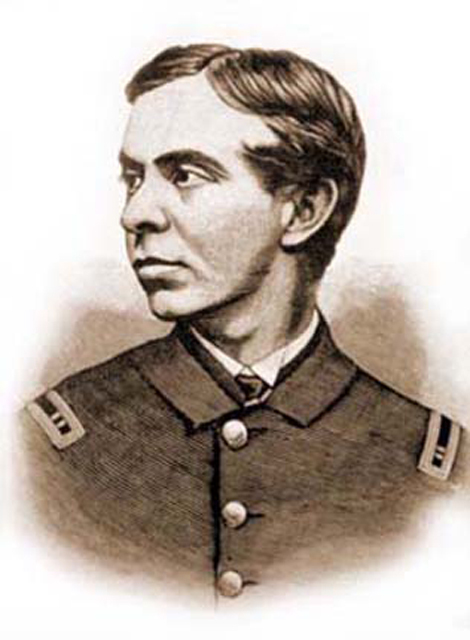 He was wounded while attempting to withdraw his guns from their exposed position in Codori Field and through “a narrow gap in a stone wall.” Brown later commanded the battery as a Captain. This image is from The History of Battery B, First Regiment Rhode Island Light Artillery, In The War to Preserve the Union, 1861-1865. 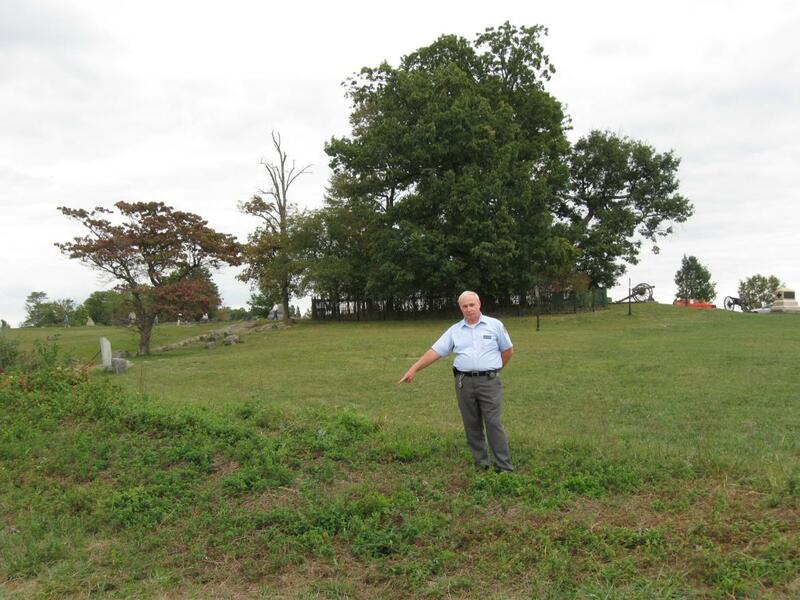 Licensed Battlefield Guide Fred Hawthorne is standing on Cemetery Ridge under the Gibbon Tree. This view was taken facing east at approximately 5:45 PM on Friday, September 17, 2010. In Video #8 Licensed Battlefield Guide Fred Hawthorne shows us the Gibbon Tree on Cemetery Ridge. This view was taken facing east at approximately 5:45 PM on Friday, September 17, 2010. 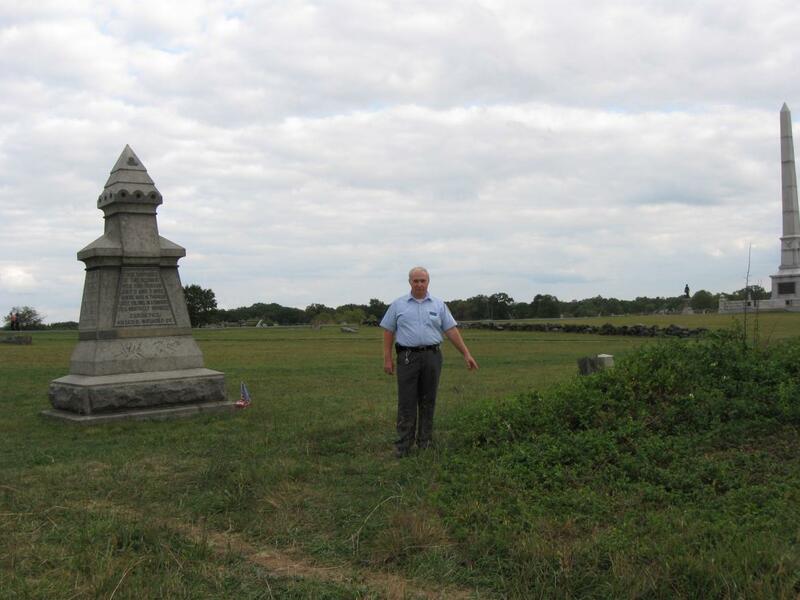 Fred Hawthorne is standing on Cemetery Ridge by the monument to Cowan’s First New York Battery. Hancock Avenue is the road in the background. The monument with the Native American and the tepee is to the 42nd New York Infantry Regiment, the “Tammany Regiment.” This view was taken facing southeast at approximately 5:45 PM on Friday, September 17, 2010. 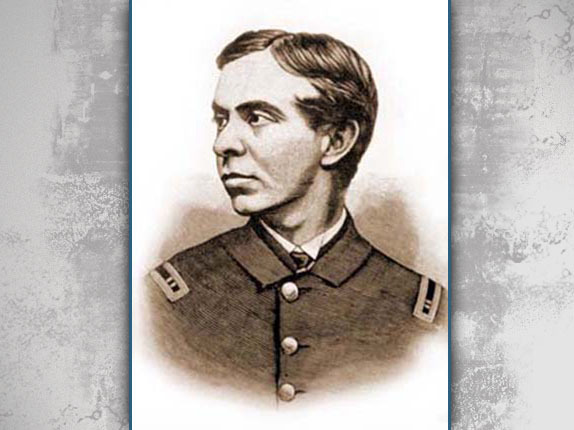 In Video #9 Fred Hawthorne is standing by the monument to Cowan’s First New York Battery. 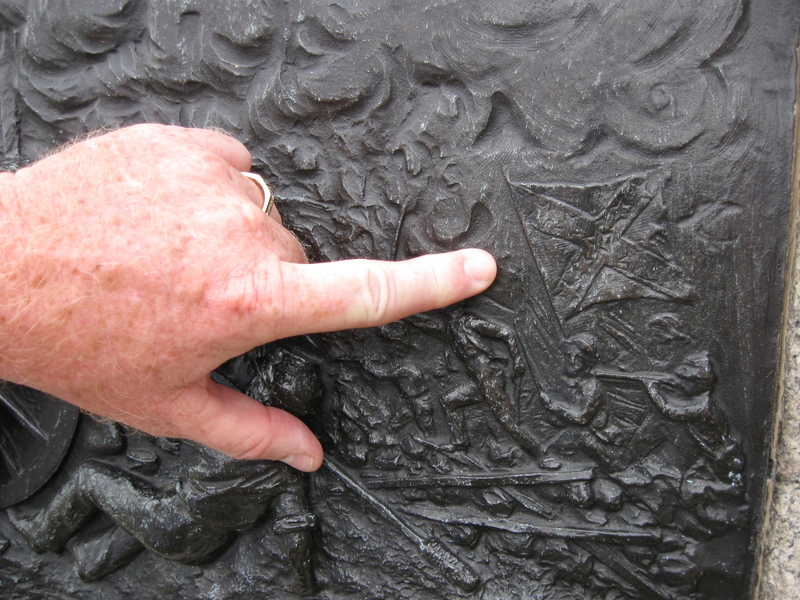 He shows us the first Confederate flag depicted on a monument at Gettysburg. This view was taken facing southeast at approximately 5:45 PM on Friday, September 17, 2010. 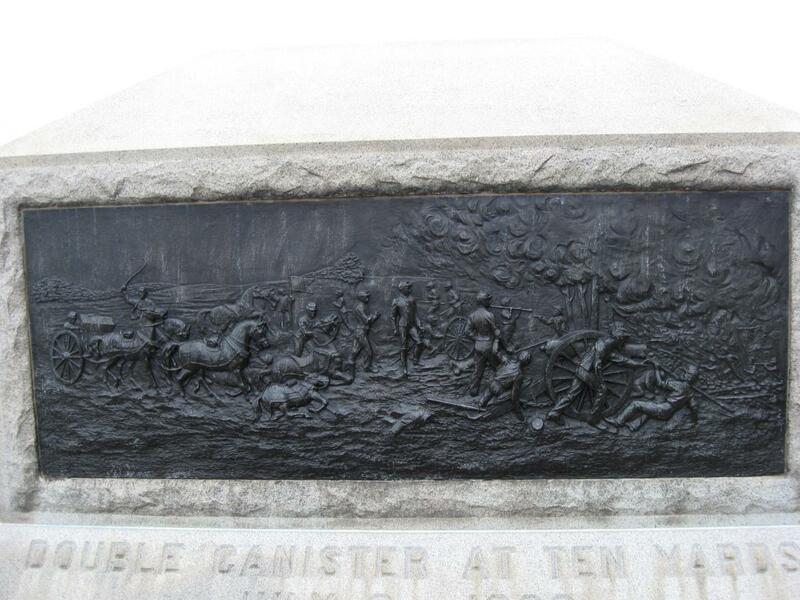 The bas relief on Cowan’s monument. The Confederate flag is on the right. This view was taken facing south at approximately 5:45 PM on Friday, September 17, 2010. The monument was dedicated in 1887, and the flag is still on the right… This view was taken facing south at approximately 5:45 PM on Friday, September 17, 2010. …right here. This view was taken facing south at approximately 5:45 PM on Friday, September 17, 2010.